Life is full of unanswered questions. Sometimes, you have to look inside yourself for the answers. Fear can be an absolutely debilitating emotion. It can be all-consuming, pervading every thought, every breath in and out of your body. It may be obvious, felt as a result of an imminent threat. What not everyone knows, though, is that it also may be felt on a less intense scale, every day of someone’s life, during nearly every moment. Leslie Volker is one of these people. Fear became a way of life for Leslie. From a young age, one emotion seemed to override every experience in life. Seem- ingly normal occurrences in nearly every child’s life, from being teased, to sibling rivalry, represented so much more to Leslie. Could it have started because of the political unrest at the time. This trend would continue to plague her throughout her adult years—into marriage, having children, through each and every odd job, and into her friendships. It wasn’t until a particularly low point in her marriage that Leslie stumbled upon the skills to begin facing her fears. In Al- Anon, Leslie not only found the strength to work on her mar- riage, but to find her own voice and stand up for herself in every arena of her life. 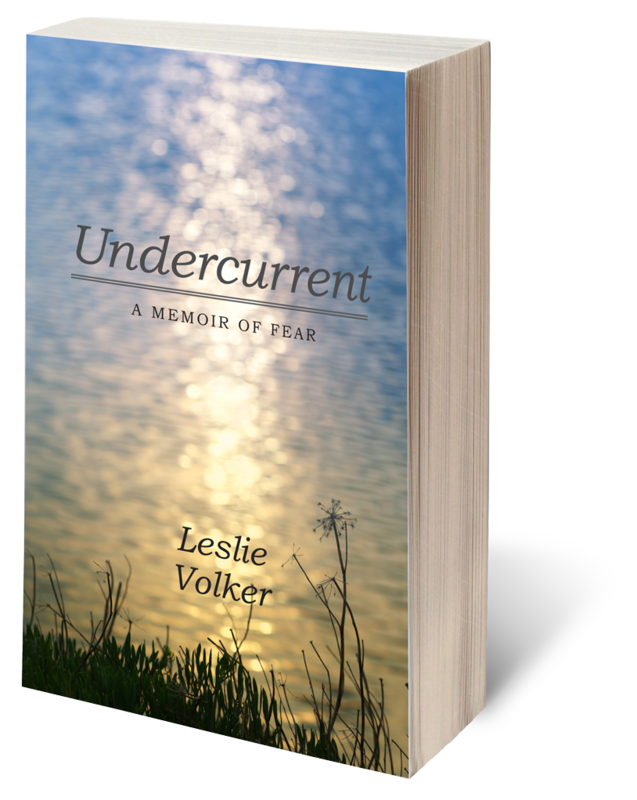 Undercurrent: A Memoir of Fear recounts the roadblocks we sometimes build for ourselves in life. Whether you have a loved one who suffers from an addiction or you have anxieties of your own, author Leslie Volker’s autobiography will shed some insight into ways to cope with your own roadblocks.